The delightful hill station of Ranikhet is mapped in the Almora district of Uttarakhand. It is at a height of 1,829mts above the level of sea. Ranikhet has plenty of places to soothe the minds of everyone who visits there. Here the splendid and regal views of pine trees, plush green forests, gentle plant life and fascinating wildlife along with the beautiful sights give you and breath taking experience. So, just make a plan to visit this place and you can also comfortably get your rooms booked in different hotels in Ranikhet Uttarakhand India. ChaubatiaGardens have been considered to be one of the finest spots to visit in Ranikhet. It is popular for their gorgeous orchards of peaches, plums, apples and apricots. It is situated at a distance of ten km. from the soul of Ranikhet. These splendid and beautiful gardens are a pleasant spot for day outings and picnics. The gardens are also one of the finest examples of step farming in Himalayan zone. The orchard contains more than two hundred varieties of flowers and fruits. This Temple in Ranikhet is an old relic formed in the eighth century. It is situated at seven kilometres from the city. The main deity of this temple is the Goddess Durga. It is believed here that Jhoola Devi possesses the powers to attain the longings of all of her devotees. This temple houses a cluster of hallowed bells tied to the walls which are known for yielding wishes on getting ringed. According to a tradition, this temple was formed to seek the protection of Durga for wild animals in the area. The hallowed statue of Goddess Durga is believed to have been exhumed by a shepherd from a specific spot after being guided by goddess herself in his dream. Majkhali is a beautiful sightseeing area and it caters a streak of spectacular views of Mount Trishul. This spot is perfect for the ones who are madly in love with nature. People take out their picnics at this spot. The entire area is a wonderful place to spend a quality time with your friends, relatives and dear ones. It is quite at a distance from the hustle bustle of the city noise. The visitors can relish melodious tunes of quiet surroundings and soft chirping of the birds. 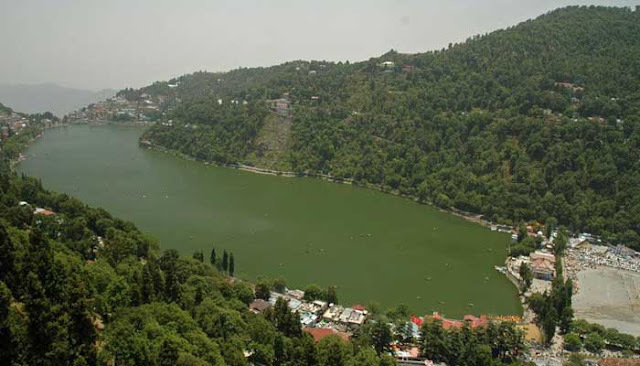 Bhalu dam is believed to be one of the finest spots to visit in Ranikhet. It is a tiny lake created artificially. It is situated at a distance of three km near Chaubattia Orchard. This lake was formed in the year 1903 by British Government. The dam site is packed with beautiful andtranquil sights. The temple is situated near the Chaubatia Gardens and at a distance of around seven km from city centre. A tiny flight of staircase goes to hilltop where the temple is nestled. The Mandir possesses a monastery wherein the students are taught old Vedas coupled with Vedic and modern mathematics in direction of Sant Sri Mouni Maharaj. Tourists visit the spot in a huge number. Thus, just get your rooms booked in Uttarakhand hotels and lead a comfortable and thrilling experience in Ranikhet. These gorgeous spots can enrich both your heart and soul!